Defence Landing Craft had developed problems with White Worm, which is a type of barnacle that builds up on the bottom of vessels. This problem is often found in the marine environment and is typically very hard to remove using safe chemical practices. The traditional procedure to remove White Worm is to manually remove it. This requires either using strong acid washes and/or placing the craft on a hard stand and doing a full clean of the bottom of the boat. These are expensive procedures and requires a lot of manual labour. Polluting the water with dangerous chemicals and harming the marine life. Exposing the workers to hazardous chemicals. Downtime and cost involved to remove White Worm due to the labour-intensive process. Triple7 Enviroscale Plus was suggested for use as it is a 100% bio-based industrial grade cleaner and scale removal chemical. Triple7 Enviroscale Plus is non-toxic, it will protect the cleaning surface and is environmentally friendly so it is safe to use in sensitive marine environments. 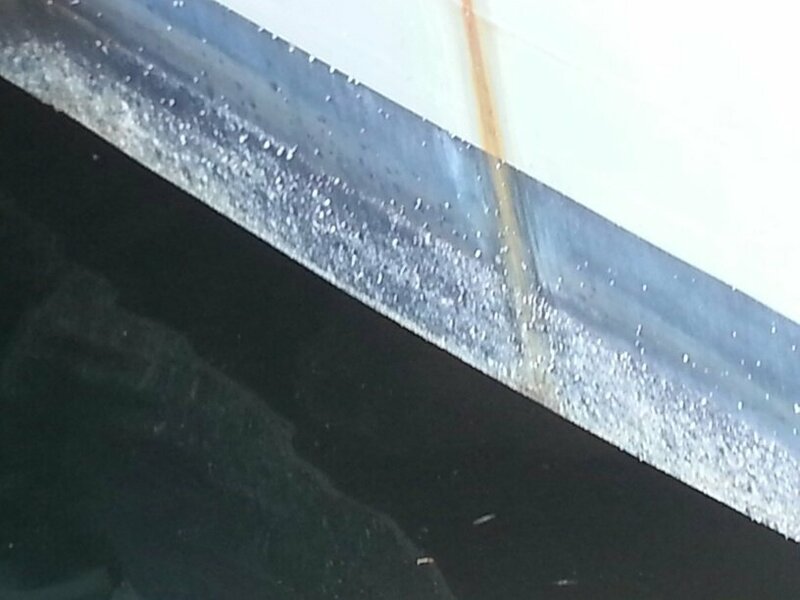 Triple7 Enviroscale Plus was used to soak the bottom of the boat with an extended dwell time and had a very good effect on removing the marine growth. Triple7 Enviroscale Plus proved to be a cost-effective solution to remove White Worm without damaging equipment surfaces or exposing workers to dangerous chemicals.